It is not often that we see significant price drops in our industry, but it sure nice when we do. Even better when it is on a popular genealogy software program. 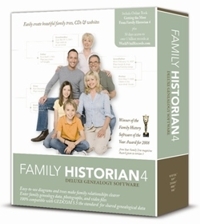 The good news for you is that Family Historian 4 (UK edition) has now dropped in price to $69.95 – which saves you $30.00!! Family Historian is a very different looking genealogy program, as it is a ‘person based’, in preference to most which are ‘family based’. But it does have a number of unique features that others don’t, mostly in the way you view information, but also in its ability to view charts on screen. 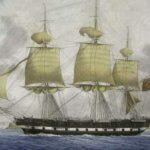 If you haven’t yet had the pleasure of using Family Historian 4, why not give it a whirl using their 30 day trial version which you can download for free. Still not quite convinced? Don’t take my word for it, have a read of of the ‘Choice’ Magazine’s genealogy software overview for 2010. Please note, the price drop only applies to Family Historian UK edition, not Family Historian Aus/NZ edition.